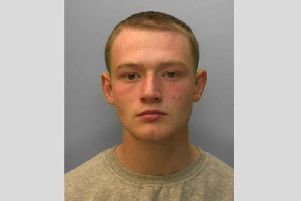 The 20-year-old Fiesta driver from North Mundham, was trapped in his vehicle as a result, he sustained arm and shoulder injuries for which he was taken to St Richard's Hospital, Chichester, the spokesman added. The Freelander driver, a 55-year-old woman from Cocking, was also taken to St Richard's Hospital for treatment to bruising and shock but later allowed home, they added. The A286 was closed northbound for some three hours while the incident was dealt with.